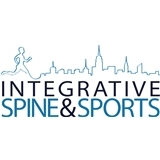 Integrative Spine and Sports (New York) - Book Appointment Online! seeing her for the first time today -- i was very impressed. i feel hopeful i'll be heard and taken care of. and i haven't felt this way in a doctor's office for a while. FANTASTIC! I felt that she really knew how to pinpoint my problem area. Best thing she told me was that we can work through with PT and I wouldn't have to worry about not exercising (some PTs have told me that I have to give up or modify completely - not really an option for me). She is helping me improve my overall alignment and I could not recommend her enough. Made my back feel so much better after the first appointment! Very nice office and staff-Sam was very sweet and so was Dr. Williams!